Manchester City Failed to take advantage of Arsenal’s slip up as they stumbled to surprising 4-1 defeat in the hands of Liverpool at Etihad Stadium. 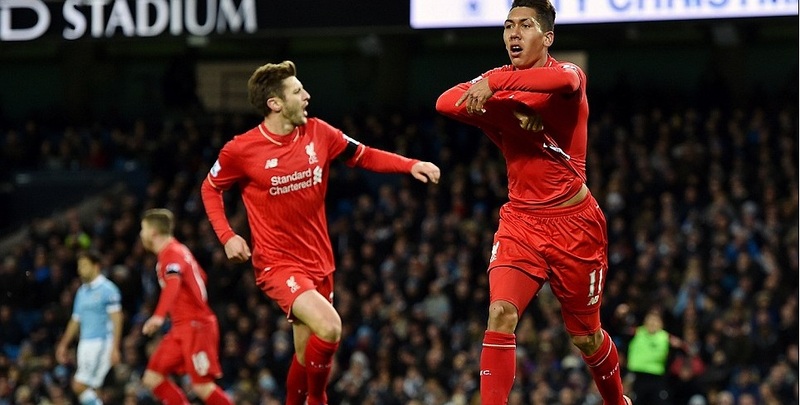 An own goal from Eliaquim Mangala in 8th minute followed by two quick goals from Coutinho and Firmino made it 3-0. Aguero scored just before the break but was not enough to get City back in the a game as late goal from Skrtel secured all three points for Liverpool. Eliaquim Mangala own goal in 8th minute put Liverpool 1-0 after some neat work on the left flank by Coutinho and Firmino who’s cut back into the box was defelected in by Mangala. Philippe Coutinho scored second of Liverpool after another superb ball by Roberto Firmino which kind of put it in the plate for Coutinho to glide it past Joe Hart for Liverpool’s second goal of the evening. Roberto Firmino scored his first Liverpool goal after some superb play which involved a crisp driven shot by Coutinho saved by parried back by Hart, Can found Countinho with a nice back heel inside the box who squared it for Firmino to score a simple tap in from few yards out. Martin Skrtek secured all three points for Liverpool with superb strike towards the end of the game. Earlier Sergio Aguero scored just before the break to give City some hope but Liverpool hang on to 4-1 win taking their points tally to 20 points in the league. Horror show from defender Eliaquim Mangala at the start of the game between home side Manchester City and Liverpool put the reds 1-0 up courtesy of own goal. Inform player Philippe Coutinho scored another to make it 2-0 for Liverpool and sent traveling fans into frenzy. Roberto Firmino scored the third for Liverpool after neat work from Coutinho who squared the ball inside the box for Firmino to tap home his first for Liverpool. Sergio Aguero brought City back in the game at the stroke of half time as both teams go into break at 3-1 Liveprool. Sergio Aguero is expected to start for City having missed out before the international break. He might not be fully match fit but Manuel Pelligrini is prepare to gamble on his priced asset against Liverpool. Jurgen Klopp faces same kind of scenario with Danial Sturridge fitness who might also be available for City clash. Liverpool comes into this game on the back of a defeat in the hands of Crystal Palace but their away form has been pretty solid as their only defeat away was against Manchester United and since than they have won 2 and drawn 3 in the process. City has been the best team in premier league going forward 26 goals and 83 shots on target. 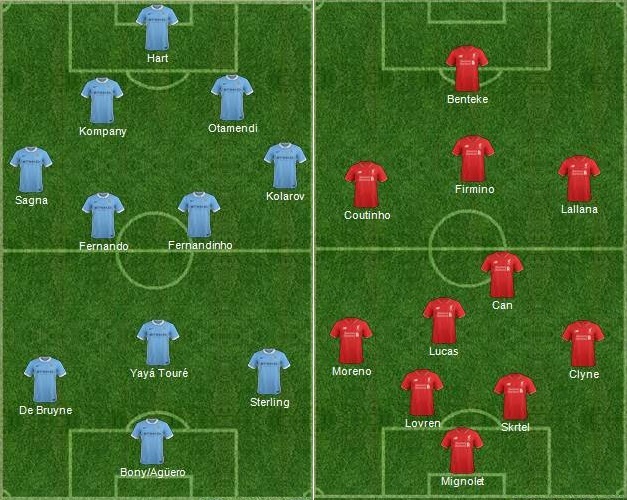 Possible Lineups: This is how I expect both teams to lineup ahead of saturdays game. Manuel Pelligrini will have to assess Aguero closer to the game to see if he is fit enough to start while Klopp might keep Sturridge on the bench and use him in second half if needed.